Cut out all the time waiting for responses by post. The Filters and Bulk Processing features mean faster response times: positive benefits for both sides. Time is money: No other portal offers as much opportunity to cut costs for both Debt Management Companies and Creditors. 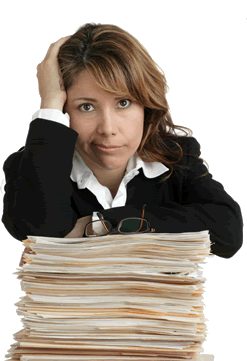 Going paperless is everyone’s mantra, but there’s never been an easier way to do it than with The Creditor Portal. We take data security very seriously. Encrypted Data and Secure Connections ensure the safety of your data. Deal with thousands of requests with a few clicks, giving you more time to deal with more challenging cases. Reduce your costs for processing letters and emails with automation and consolidated notifications. The Creditor Portal is the latest product to be built by the team at Tigersolv Ltd, who have been developing software for the debt industry since 1999. Using the latest state-of-the-art technology and ultra-high security, The Creditor Portal brings together all the charitable and fee-charging Debt Management Companies with every Lender, Debt Purchaser and Collector. The Creditor Portal has been the product of extensive industry research and many months of designing, programming and testing. The project has been carefully thought through and with consultation with Debt Management companies, IVA providers, Debt Purchasers and Creditors, the result is a web-based service that will revolutionise the Debt industry. It’s a ‘No-Brainer’ why has nobody done this before? Several people have created Creditor Portals before, but the lack of trust between Debt companies means that no company would be willing to send client data to one of their competitors. The Creditor Portal is different - we are totally independent and have only one goal: to improve the way you do business by offering great value for money and by being honest, helpful and secure. Our portal system has been designed so that any Debt Company can integrate it with their own In-House software. Data is consolidated so they can access all correspondence from any DMC by logging in with a single username and password. Bulk features allow them to respond to hundreds of offers at once with only a few clicks. Financial statements are easy to review and the data is in a common format and presented in a way that lets you easily deal with enquiries.